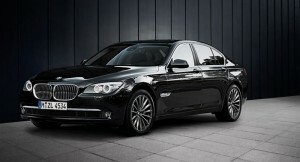 At Greyline Chauffeurs we are dedicated to providing a premier transportation service to anyone in the Aylesbury area. Since its launch in 2002 our company has taken a consistently professional attitude to each client, we’ll ensure your trip is safe and get you when you want to be on time. Despite the luxury appeal, our airport transfers are designed for both corporate and private clients, with prices that are sensibly low. We can help with any aspect of your private driving needs, so whether you are attending a function, or you have to reach an official event on time, our chauffeur services can make it happen. When you use our Aylesbury airport cars the journey is a stress-free experience, from the pick-up to the drop off, plus everything in between. When you want a service that is punctual, reliable and caters to your personal preferences, trust us to get you there. Our staff are smartly presented experienced drivers that have been handpicked for their role. They have an in depth knowledge of Aylesbury and the surrounding area, meaning you can concentrate on what’s important, while they negotiate the traffic. Sit back and enjoy the ride, catch up on the news or complete some last minute notes for work – when you let us do the driving, the choice is yours. As you’d expect, clients are always treated as individuals by our chauffeurs and they will take care to personalise every trip. You can expect the highest levels of comfort, exemplary customer service and of course, a luxury vehicle to travel in. Whatever your individual preference, we are confident you’ll find a car that catches your eye from our top quality fleet. As our vehicles are thoroughly cleaned after each trip, your transport will look, feel and smell like a new car as you step inside. With the latest navigational assistance at their finger tips, our Aylesbury airport taxi drivers will always select the most efficient route to your destination. So when being late is not an option, get in touch with Greyline Chauffeurs and experience the benefits of our service.